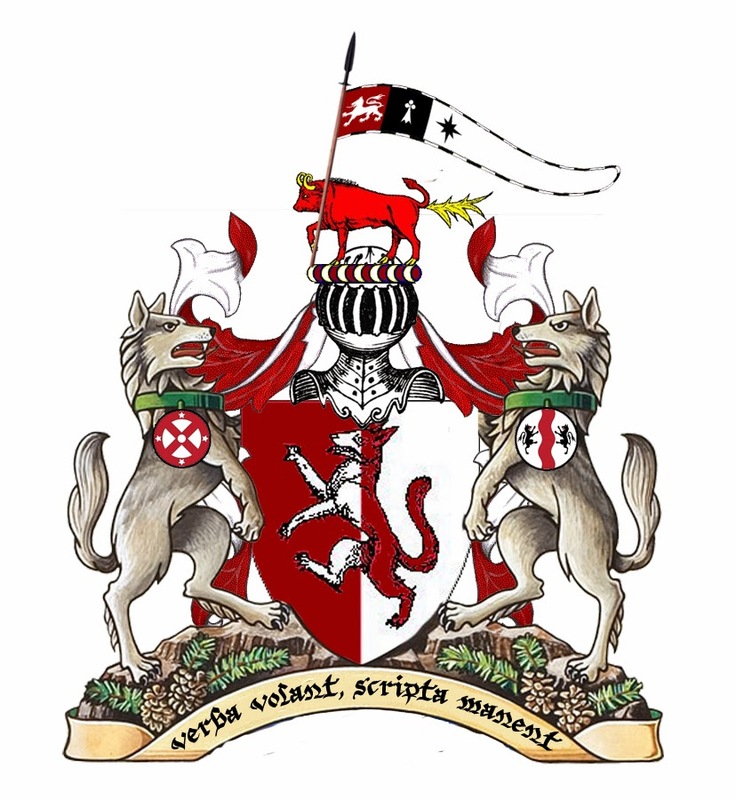 Today I finally sat down, cracked open the Ealdormere Scribal Handbook and designed my full Achievement of Arms. 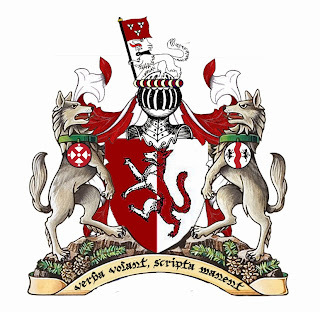 As I have a Grant level award,I was entitled to use the kingdom crest, and was allowed to have two supporters. 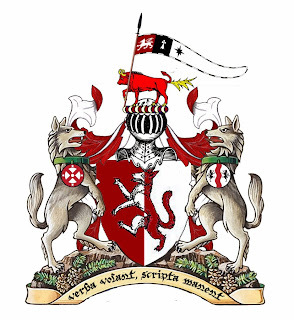 I chose wolves to represent that I come from Ealdormere (the lupine kingdom). 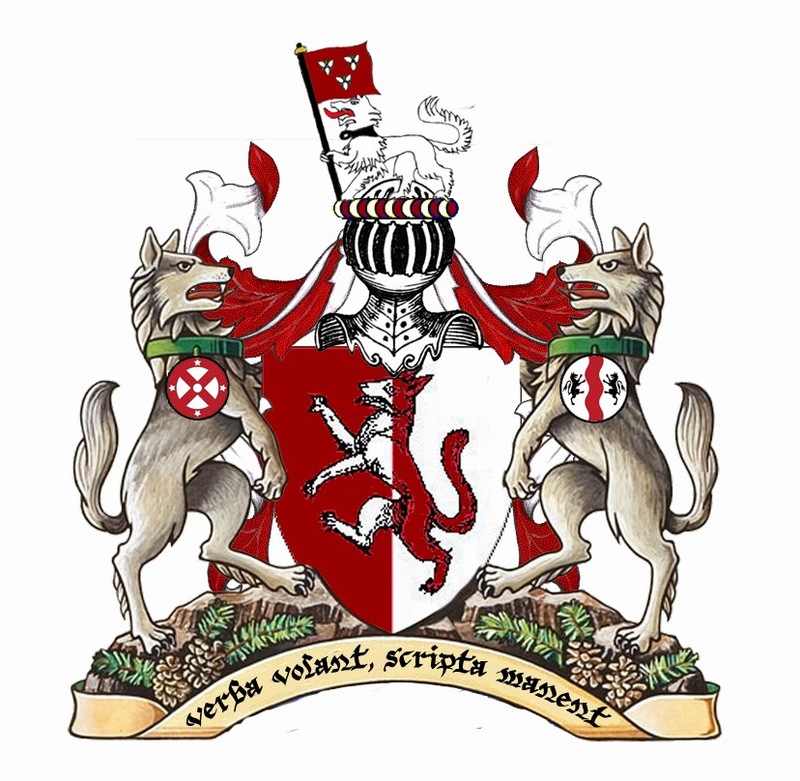 Hanging from the wolves' necks are the badges for the Order of the Wain (service award) and the Award of the Scarlet Banner (fighting award). I used my new motto that HRM Adrielle gave me when she recently took me on as an apprentice. Roughly it means "words are fleeting, but writing remains". This represents that a lot of my arts and sciences endeavours are related to the written word: chronicling, histories, event reports and writing award scrolls.